If you wish to change the default password simply enter the current password in Old Password then enter your new password in New Password and Repeat New Password (to make sure it’s entered correctly). Then press Reset Password. Next time you log into the Admin area of PB Pro you will need to enter the New Password. 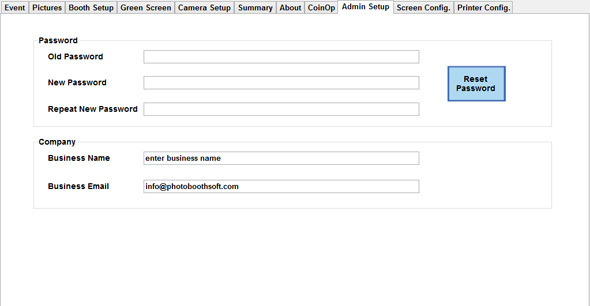 Enter the Business Name and Business Email address to personal your software if you wish.